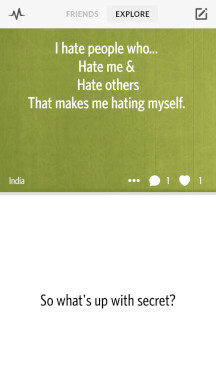 The app lets users share their deepest thoughts with their friends (and others using Secret) without revealing themselves. 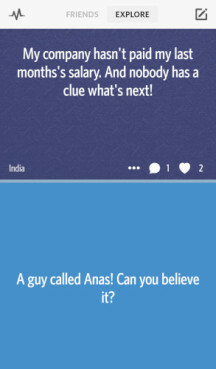 Already popular on iOS for letting users share their secret thoughts, the Secret app has finally arrived on the Android platform. The app is free to download and is becoming hugely popular among social networking users who want an extra edge with privacy. 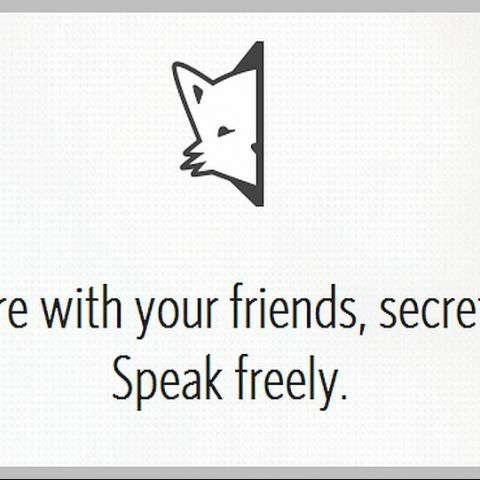 The app lets users "speak freely" and claims that everything that users share is "shared secretly." 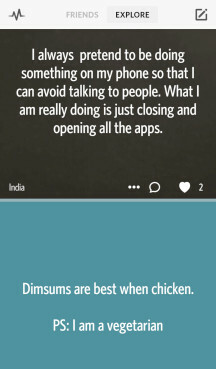 Upon installing the app, we saw some pretty interesting thoughts that are being shared around here. The user interface is amazingly clean and easy to use. After the installation, you are given tips to use the app so that you know what you are doing. The thoughts shared by people look and sound interesting as you have no clue who said it. It connects you with your groups either through Facebook or Google depending on the accounts you use for registering. Your timeline can contain updates from friends or friends of friends. You can post, like, comment and share updates without revealing yourself. As of now, we didn't see any advertisements on the app either. By installing the app, users will be sharing their GPS and network-based location, full network access and network connections with the creators of the app. Users can also share their phone number which is not mandatory though but it is recommended by the creators of the app. An email address is the only thing users will need to get started with the app so that you can get paired with your friends even though you have no way of who you are connected with. 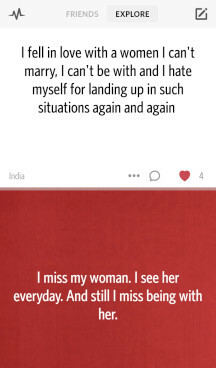 The app let you share messages with images to make them look more interesting and is quite addictive after you start using it as it could easily be one of the best designed apps on the Play Store right now. In addition to being launched for Android, a new feature has also been added which keeps streams for (just) friends and the larger pool of regular users of Secret apart from each other. This feature is not available for iOS users and is an Android exclusive. To see the stream of your friends, users will need to verify their phone number. Secrets from friends are hidden to "protect" them. Once a user gets 3 friends, the friends stream is unlocked. Friends and Explore. For Android users who’ve waited patiently, you’ll have exclusive access to Secret with two streamsâ—âyour Friend stream and the Explore stream, where you can dig into the wider world of Secret. Richer stream for everyone. The stream is now more interactive. 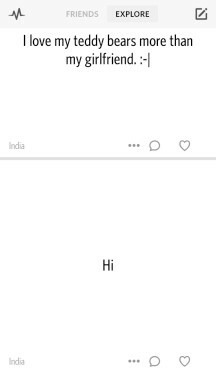 We’ve added a way to see how many friends you have and a way to respond and ask questions to friends. There will be more surprises on the way. The idea behind Secret came from a desire to send an anonymous love letter. The experience of sending and receiving the note was both magical and exciting. It helped us realize that many of our most important thoughts start quietlyâ—âthe moment we realize we’re in love; our first interview for a new job; the dream we have to travel. While people share an incredible amount online, these thoughts and ideas have not had a home on popular social networks, and we wanted to change that by creating Secret. You can download the app for iOS and Android for free.